A company of limited liability is a type of corporation or business, where the liability is limited to its aported capital. In case of accumulated debts, the partners are not responsible with their personal heritage. Processing time approximately: 25-35 working days. Copy of the ID from all partners (2 partners minimun). The person, which got chosen to be the manager and knowing if this person can act without or just with the authorization of the other partners. (Can be partner or not). 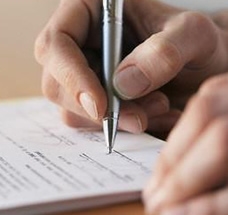 A personal meeting with you or an empowered person to sign. We constitute your business or your company of limited liability according to the Domiican laws. If you need more information about the constitution of a your business, do not hesitate to contact us!